Some people claim Obi-Wan in a lying, manipulative SOB. I guess they have a point. He only told Luke part of the story; didn't reveal the truth about his father, only the symbolic Vader "betrayed and murdered your father" nonsense. Perhaps Star Wars' Obi-Wan Kenobi didn't know what he was talking about. Maybe the trilogy wasn't really a trilogy at that time. Perhaps he really meant Darth Vader and Anakin Skywalker were truly two different people. Or he's just a lying SOB. He knew Luke had a sister, but didn't reveal that to him. That mistake nearly turned out to be incestuous. He didn't bother to tell the young man who yearned to learn more about his father that his father happened to be the galaxy's #1 badass. And Obi-Wan Kenobi conveniently forgot to add that he was the one responsible for turning Luke's dad into a torso with droid legs and droid arms. "He's more machine now than man, twisted and evil." That tends to happen when your best friend cuts off all your limbs and leaves you for dead. All of this is with tongue firmly planted in cheek, of course. 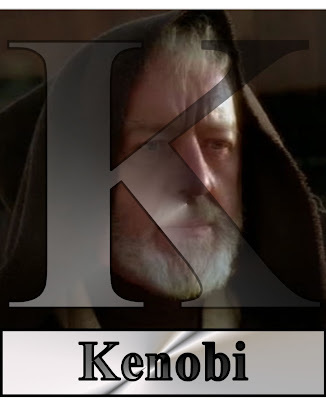 The Obi-Wan of the original trilogy is a haunted hermit who's seen a man fall from grace and has vowed that man's son wouldn't stray down the same dark path. And yet, despite Obi-Wan's help and guidance, the son nearly follows the father. Because he is young. He is brash. He is a Skywalker. And while Kenobi couldn't see the good left in his old friend, the son believed just enough. Obi-Wan has taught you well. TOMORROW: An elegant weapon for a more civilized age!